In comparison with long-term average June was below the average as to the temperature and markedly below the average as to the precipitation. Although June was generally temperature-substandard, maximum daily temperatures in the period from 8th to 11th June exceeded 32 oC. During June the precipitation was the lowest in the last few years. The highest precipitation occured at the end of June (June 25th - 22,8 mm). 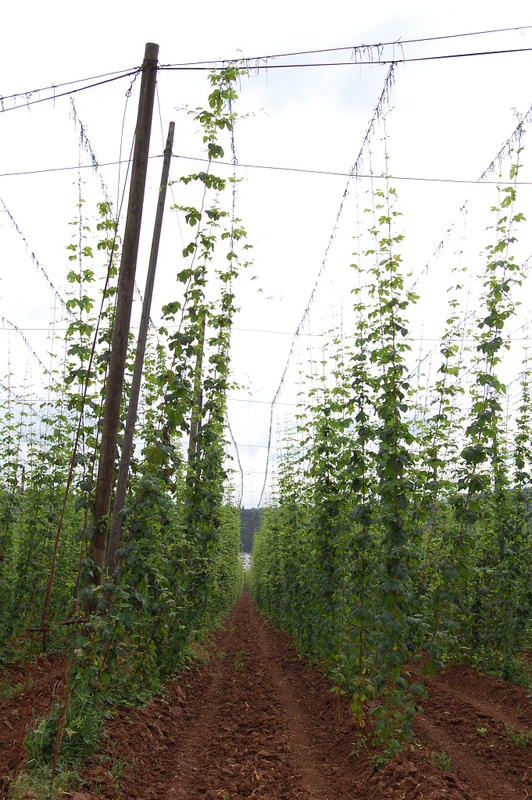 As the rainfall was high in May, so far the influence of June´s precipitation on hops growth and development is insignificant. Hop plants reached 6 - 7 m height (the top of the trellis) on the majority of areas. Hops are in the phase of creation of side shoots. During June treatment against Peronospora and hop aphid continued. The health state of hops is good. Picture from June 30th shows the average hop-plant state.